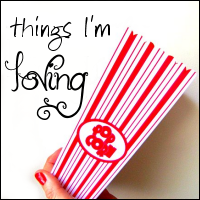 Things I&#39;m Loving - again! 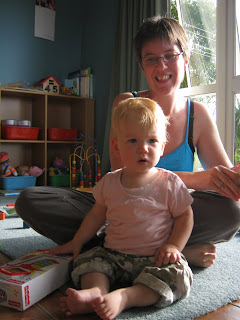 Thanks Jackie, she LOVES that phone and books are always a favourite! 5) Early birthday presents arriving by post, and being dropped off in person by folk who can't make her party... one spoilt little girl! 6) Grandparents who raced up earlier than planned yesterday so they could come to the Doctor with me and entertain the baby... yes, I have another breast infection - seriously, what is up with that!!!!!! 7) A little girl who ADORES her Grandparents - big grins and cuddles as soon as she see's them... Gran has to take her upstairs to bed each time she goes for a sleep (not even Daddy is allowed to do that *grin*), and who obliges with a kiss every time she is asked for one! 10) And so many more things to be thankful for... these are just a few things off the top of my head :-)! Laptop battery running out and the wedding starting to get a little more interesting - so got to go and watch this amazing event! Love the division of genders - haha! Wasn't it great. Have a wonderful birthday and dedication.